A few months back, I had asked what type of content readers were most interested in seeing/reading about on the blog. 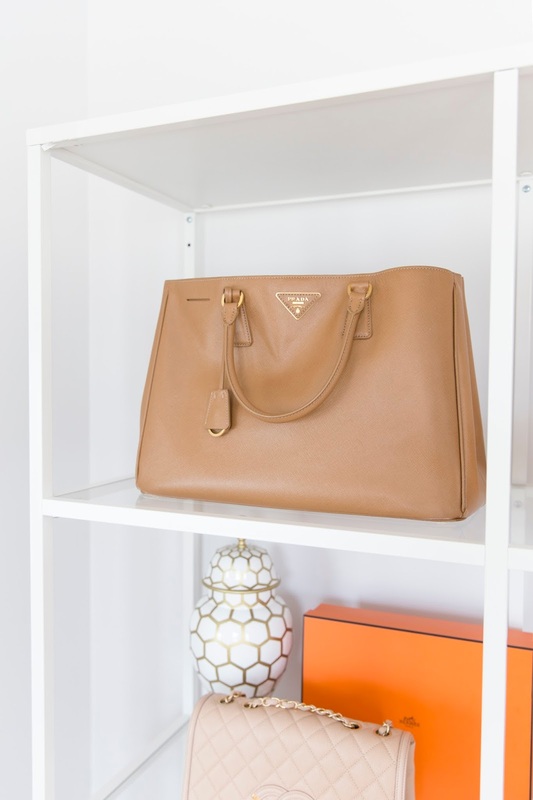 While career advice, a hair tutorial and more are on their way, I wanted to get to sharing a review on my handbag collection. 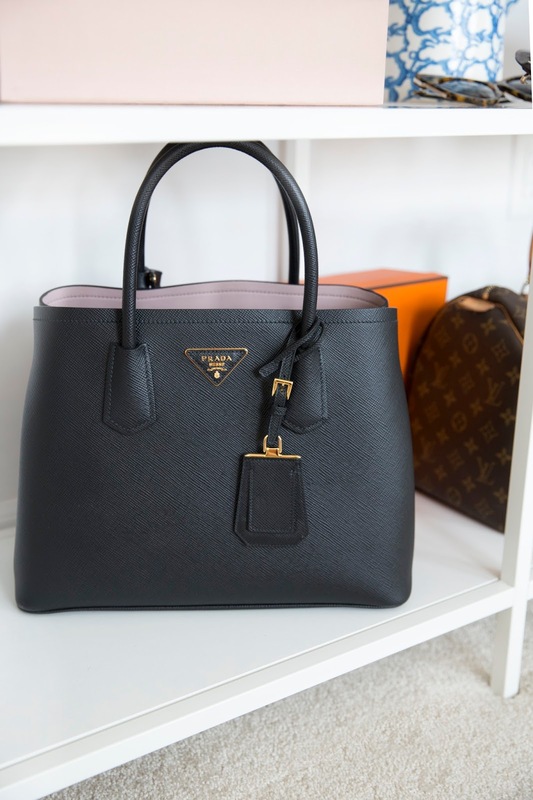 I got a ton of feedback from girls asking about what I thought was or wasn't worth the investment when it comes to handbags. With a new season around the corner and perhaps a new 'it' bag to go with the season, I thought I'd give my two cents on some of the purchases I've made. Pros: I love how light this bag is - even with a heavy metal chain. The design was also quite simple and paired perfectly with a range of outfits and could be worn on the shoulder or crossbody. Cons: The gold plate on the front of the bag has become quite scratched with time. I also find the bag is about 1cm too short of being able to carry a long wallet, keys and a cell phone. It certainly fits but you get the impression the leather is stretching to carry it all and it's just an uncomfortable feeling. I do find I wear it less and less as of late given how many girls are wearing it now, but I do think for the wear I got out of it - the value was worth it. Verdict: Wouldn't buy it again. Pros: This purchase was definitely a splurge and more of a rash decision (which isn't usually my purchasing style). On a trip to Paris with my sissy, I had mustered up the courage to buy the 2.55 bag in beige to find out that it's no longer considered to be an Iconic piece made every season. A little bummed, I couldn't help but notice this pink bag sitting on the shelf. A little shocked at the price (it was much more reasonable than the 2.55) and how versatile the colour was, and a whole lot of convincing from Kass, I talked myself into it. I love that the bag is calfskin leather which in my opinion, holds up far better than the lambskin leather from Chanel. I'm even ashamed to admit a poor packing of this bag once on vacation left its shape a tad mangled but after stuffing it with tissue paper and holding a hair dryer to it - the shape bounced back. I also love the adjustable strap and how it can go from more of a casual vibe worn crossbody to a statement item worn on your shoulder. The colour is also super versatile and can appear to be more blush when played up or beige with darker hues. Cons: The only con I would have to admit this bag has is the fact that it's a snap closure. The magnet is definitely stronger than most but a more secure means of closing the bag would have been ideal. Verdict: Would definitely buy again! 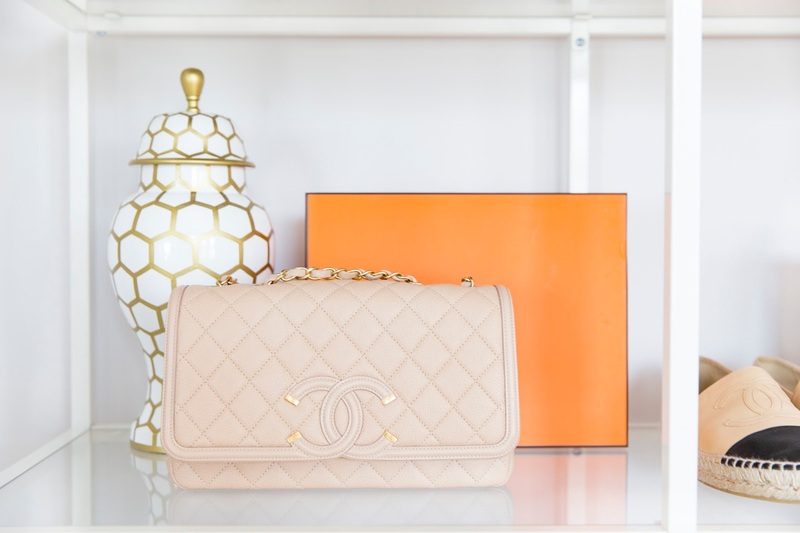 Perhaps one of the more sentimental bags in my collection, this vintage Chanel was one I saved up for months to acquire. I'd always loved the idea of a vintage handbag and knowing that a 2.55 bag was out of question, it was my next best bet. Pros: I loved the look of this iconic bag and the irregular shape which was a clear indicator that it was a vintage purchase. The size is perfect enough to fit a wallet, keys, phone and lipstick which is perfect! I also love that the chain can be tucked inside the bag so it doubles as a clutch. Cons: The lambskin leather: it's near impossible to keep it looking perfect. The OCD in me screams on the inside when it gets scuffed. Verdict: Would buy it again! I call this bag my workhorse. I have used it almost every-single-day since I bought it 3 years ago and it was worth every single penny I paid for it. To be honest, I've been debating the white/grey canvas print of the same bag but am on the fence on whether it will get scuffed with time. Pros: This is my everyday work tote so it carries a laptop and its sleeve, notebook, notepad, wallet, laptop charger, makeup bag, pens, phone and a ton more. I also travel with it and including all of the above, I'll also pack headphones, magazines and snacks. I'm blown away at how durable the bag is especially given the wear and tear I've put it through. Cons: I think this is standard for most LV bags, but this bag can definitely lose its shape with time. I actually purchased an insert for my Speedy (best decision ever made) and regret not getting one for this item. The leather around the parameter of the bag is also starting to crack in certain spots but I have a love/hate relationship with this. I do love a fresh LV bag but there is something to be said for the patina. I actually purchased this bag on our trip to Hawaii earlier this year. I had every intent of snagging the Eva clutch but after struggling with the length of the chain on my frame (it just seemed too long), this new style caught my eye. Pros: Deceiving in size, this bag packs a punch. I can fit all my daily go-to's in the bag and not feel like the bag is stretching by the hour as I carry on with my day. 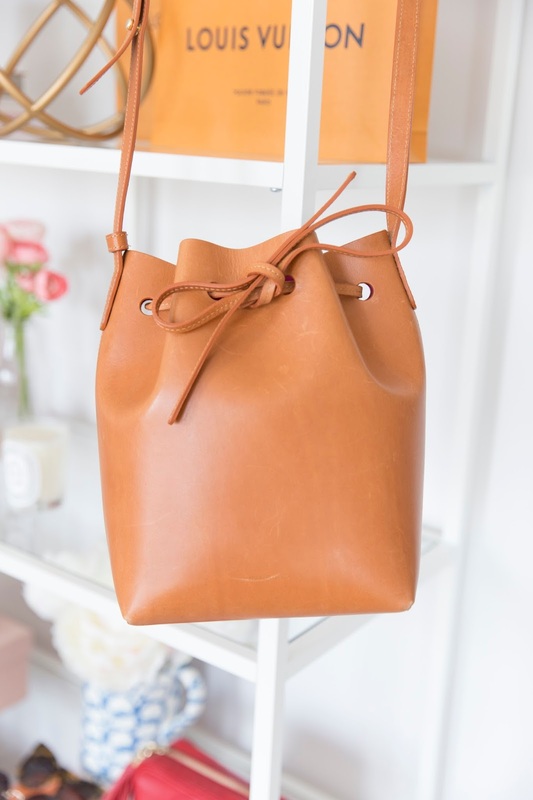 I also adore how it can convert from a crossbody to a top handle tote in a pinch - making it the perfect travel companion. This is the first style in the Azur Canvas I've ever owned but it's held up better than I had anticipated (I'm quite rough with my bags so I need a durable and preferable darker leather for scuffs). Cons: I am finding the top portion of the bag is becoming slightly crooked with time. That being said, I have tried stuffing it when not in use and am finding it's correcting itself. The only other complaint is the closure mechanism. I feel like I'm struggling to actually close it sometimes when at a checkout or in a pinch and it's not always a cinch to close. Pros: Last winter I realized I was lacking a black, classic handbag for more polished outfits and felt this bag would do the trick. I needed something to carry notebooks, daily essentials and more for meetings on the go and this did the trick. I also loved the pop of blush in the interior for an unexpected surprise. I do find the bag quite light to carry given the hardware. Cons: I've learned with a previous style like this and my wallet that the saffiano leather doesn't always hold up from Prada so I'm certainly far more cautious with this bag and where it rests or is put down (which I hate!). I also don't love the magnetic closure on the bag but I suppose it's better than nothing. Verdict: Would buy it again... but in a different shade. Pros: I love how chic and classic this handbag is. I definitely bought it with a more polished and professional look in mind. While it's not super wide, I will say the bag can hold an iPad, notebook, wallet keys and more on a good day. The leather is amazing quality and despite my day to day wear, it still looks fab a few years later. Cons: My one complaint about this bag is the weight of it - it actually feels like there is a 5 pound weight on your arm at all times. There is a cross body strap that came with this style but I always felt like it never quite worked with the style. Pros: Living out my boho summer dreams, I snagged this bag after sitting on a waitlist at Holt Renfrew for months. I loved seeing it on other bloggers and the shade of leather seemed quite versatile with most outfits. I do love the ease of the bag and how it seems casual cool. The adjustable strap is also handy depending on whether you're wearing it off the shoulder or cross body. Cons: The leather is quite impressionable so every scratch is quite obvious. The bow on the bag can also be frustrating to set and keep all day - especially if you need to get in and out of the bucket bag. Verdict: Would buy it again. Pros: The bright pop of colour is a fun addition to your #OOTN. The adjustable strap makes it super versatile but I do love the way this bag is styled off the shoulder especially with an evening dress. The leather is quite durable and still looks great. Cons: Personally, I think the cost of the bag exceeds its value. Sure - it's a fun item to have in your wardrobe but for the few times it can actually be worn, I don't know if the amount of times I've worn it makes the price tag worth it. The size is so small it's hard to fit more than a cell phone, card case and lipstick. Pros: I LOVE the shade of this bag - it's another mix of blush and cream and can be played up or down depending on the outfit. It's the perfect size for the busy woman on the go but isn't so large that it feels like a work tote if you wear it to date night. I have dropped a TON of stuff on this bag and despite my reservations about buying a light coloured leather - they've all come out - it has maintained its look despite being the brunt of my ice cream/sandwiches/coffee spills and more. Cons: I find the strap to be quite pointless on this bag - it's something I find I rarely use. I did find the price tag to be a tad high given that it's a trendy bag but given the amount of use I got out of it, I can accept it more than others. I am finding myself weaning off the bag for the fall season so I do wonder if it's a short lived fad that won't survive much longer. Pros: This lightweight, crossbody packs great, is priced great (compared to similar designer items this size) and comes in a wide array of fun colours. Another deceiving size, you can fit a regular sized wallet, phone and keys in this bag - though it is snug. Cons: I personally always felt like this bag was best paired with casual outfits. I find it hindered from me wearing it more because it felt best worn with a tee, jeans and pumps and since majority of my wardrobe consists of dresses - it became a problem. You can also see that the bag is starting to lose its shape (despite being stuffed) and isn't as polished as it once looked. Pros: A great travel companion - this crossbody features card slots and can slightly expand for very small essentials on the go. It's also one of the more 'reasonably' priced items if you're looking to own a piece of Chanel in your wardrobe. Once again, the lambskin leather has helped keep this bag looking new despite its age and the amount of times it's been beat around in a carryon suitcase. Cons: Do know that keys, lipstick or anything wider than a card case probably won't make it into this item but the name does indicate it's purpose - wallet on a chain. I do find the chain to be a tad long and I'm not a fan of wearing this bag off the shoulder, but it's certainly not a deal breaker. Pros: An oversized tote bag, I've carried a notebook, Macbook pro, wallet and more and it never felt like it was 'too much' for the handbag. I also loved the shade of this leather - it went perfect with most coats in my wardrobe and worked in every season. Cons: The leather certainly wears with time and you can start to notice scuffs and wear & tear on the bottom and corners of the bag. The shape has also started to dissolve despite trying to stuff the bag. Last but not least, the magnetic closure was never the greatest closing mechanism on this bag and often popped open. I hope you guys liked this series. 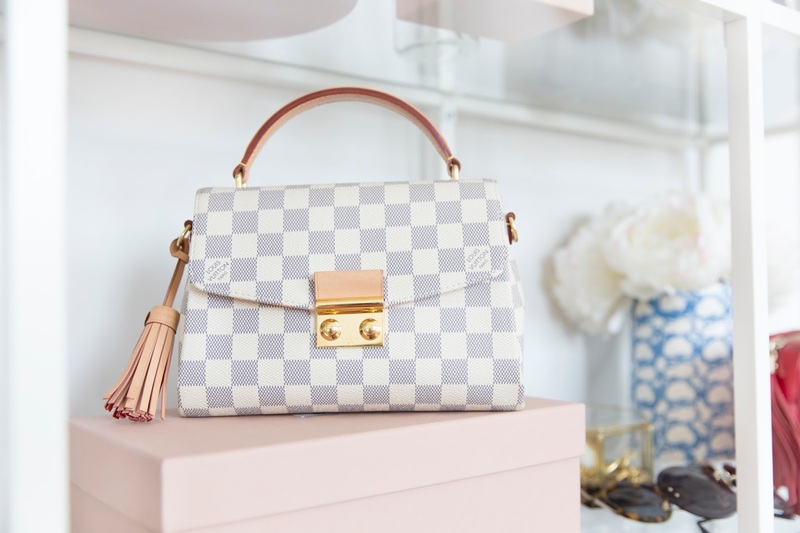 For those interested, the next few bags I have my eye on are the Dior Lady Bag, Louis Vuitton Pochette Metis and a Chanel 2.55 in Beige ;) Do you have any of the above (or made a designer purchase) and love them or hate them?! I'd love to know! Love this post! I love my vintage Chanel too! Next on my list is Gucci, Marmont, Sylvie, Dionysus, all of it ha ha..
What a beautiful collection! Great post, really enjoy to read it! Such a fun post idea! Love! Great post! I had my eye on a couple of these, but did not buy because I assumed they would have some issues over time and it's good to hear that I did not. I was actually going to get the mini Saint Laurent tote like the one you have and it was ridiculously heavy. I just couldn't get over how heavy it was. I can't imagine how heavy yours must be. I'd love to hear your thoughts on the LV speedy. I sold mine because I found it so annoying to carry around. Aw thanks girl! 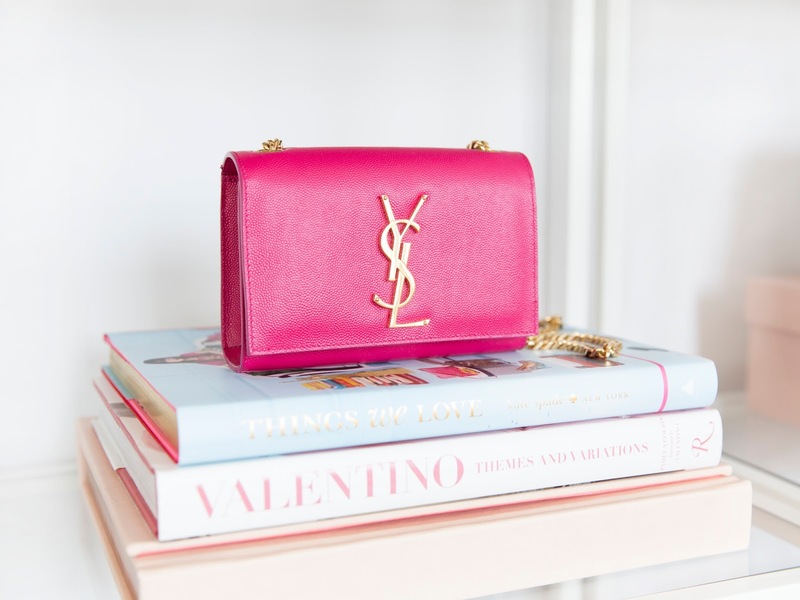 Good call on opting out of the YSL tote - I can't believe how heavy the bags are! I actually love my Speedy and can't bring myself to sell it. I do think getting an insert for the bag helped it maintain its shape which I love but it's definitely a fall back item I always love pulling out in fall/winter. Wow! Your handbag collection is impressive! I love reading about this as I'm looking to expand my collection. Thanks for the detailed review! Your bags are so pretty! Really enjoyed reading this blog post! 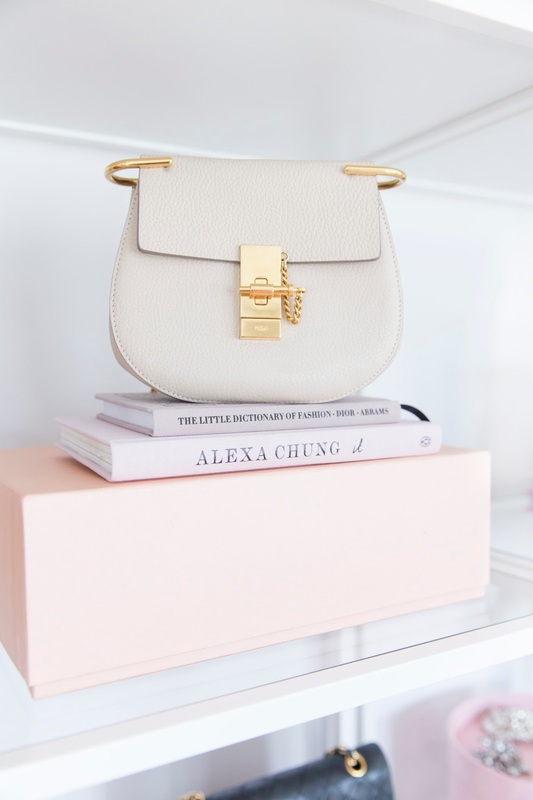 I had been debating buying the chloe Drew bag because it's just so beautiful and it just exploded a couple of years ago, but stopped myself and now I'm glad I did. I'm just wondering, as a Chanel lover, have you considered buying the Boy bag? 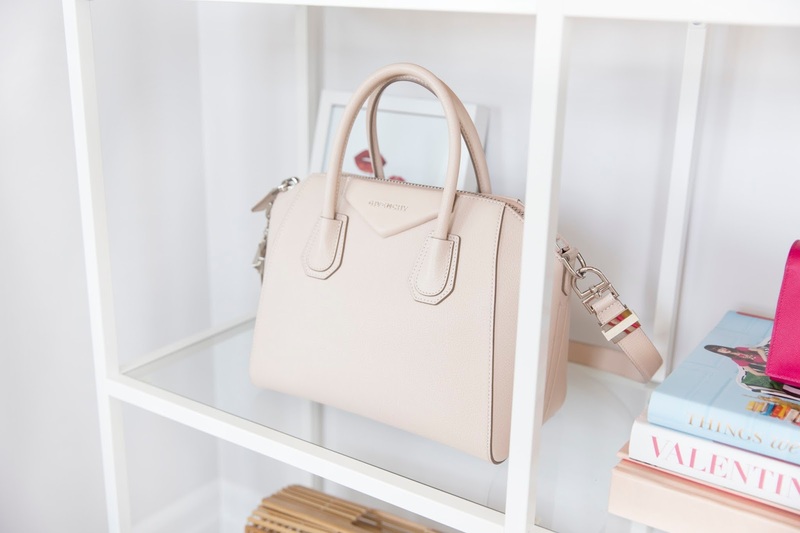 I've been saving for months for a Boy Bag, and I'm planning to buy one for the fall, and I'm just wondering, if you have a reason you haven't purchased or included it on your wishlist for future bags? Should I reconsider? I've always LOVED the Celine bag - I mull it over from time to time and then get nervous I'll be last person on the planet buying it lol! Oh! This was the best post ever! Thanks so much for all the reviews!!! I've always wondered what's worth the price and what isn't. I am such an LV person that I can't get around to buying anything else but thanks so much. You have a beautiful collection!!! I loved reading your reviews - as there are so many bags here that I don't thought about saving for (the sac du hour and the antigona especially). I also prefer structured bags so it was good to know which designs don't keep their shape - I used to think the Gucci disco bag would be a classic! 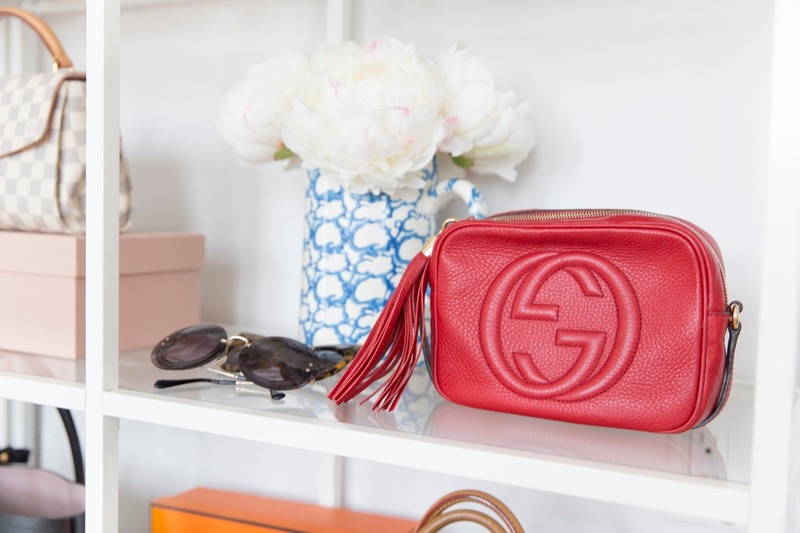 I'm personally loving the Gucci Marmont bag - I bought the WOC telling myself that's all I needed but now I want a mini flap too - it's just so chic! Aw thanks so much for leaving a comment girly! LOL isn't it so bad how we do that?! I just need this one bag... 5 bags later!!! I say go for the Marmont!! I adore this post. Every single bag you talked about is GOALS!!! 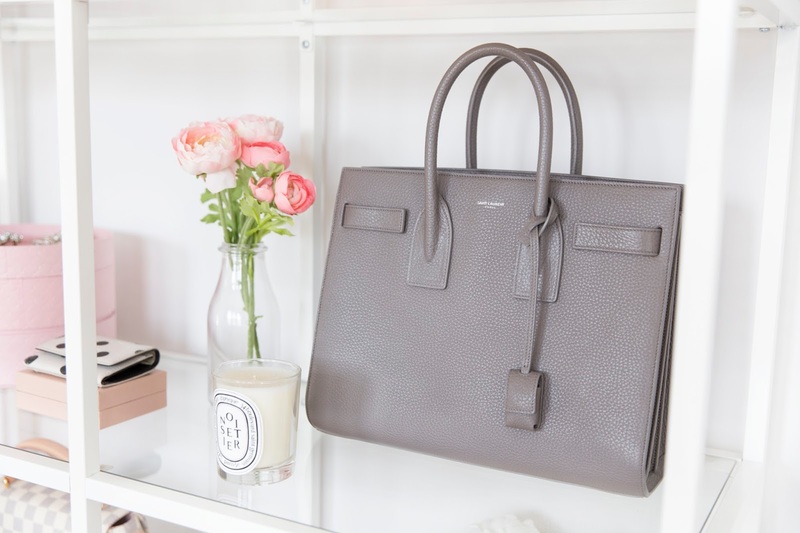 I have adored the Givenchy bags for several months, but I did think that price was super high. I am glad it's not just me being cheap lol!!! Thanks for being so honest! Awesome post! 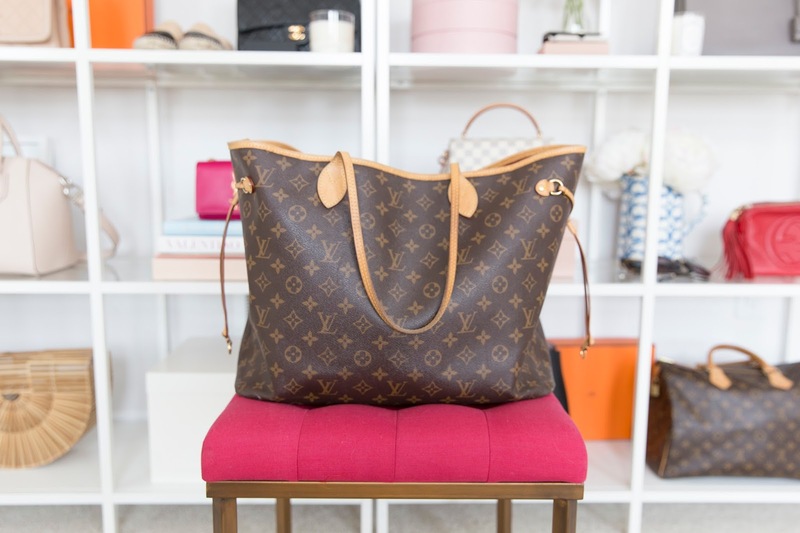 I have had my eye on the LV Neverfull GM for a while, but I was on the fence. Now I think I will make the purchase, but with an insert thanks to your advice. I also love how you have displayed your bags. I think I need to do the same. They're all sitting in my spare room walk in closet. Displaying them will make them more visible and hopefully I will use them more often. I have a great collection as well, but since having kids I tend to only carry my diaper bag lol! The Vittsjo bookcases from IKEA are a dream for styling bags and shoes! Throughly enjoyed reading this post!